Comes with x1 100rds magazine. 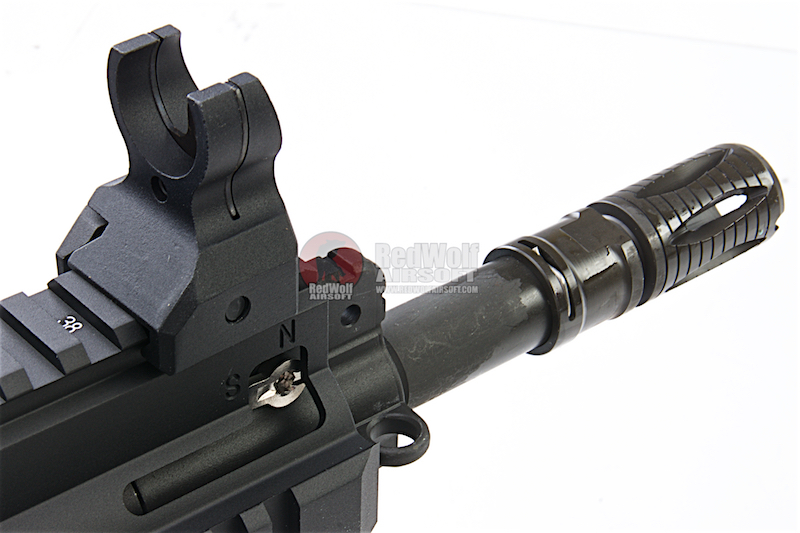 Magazine Compatibility - VFC HK417 magazines. 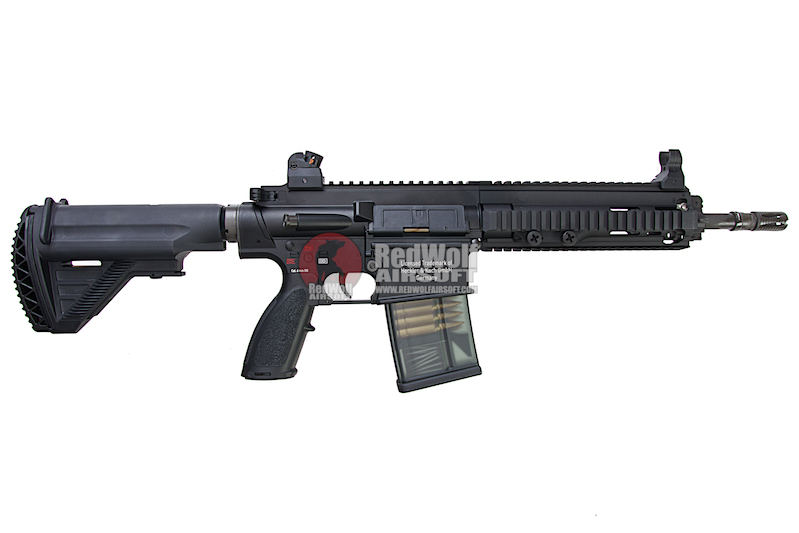 The Heckler & Koch HK417 is a battle rifle designed and manufactured by Heckler & Koch in Germany. 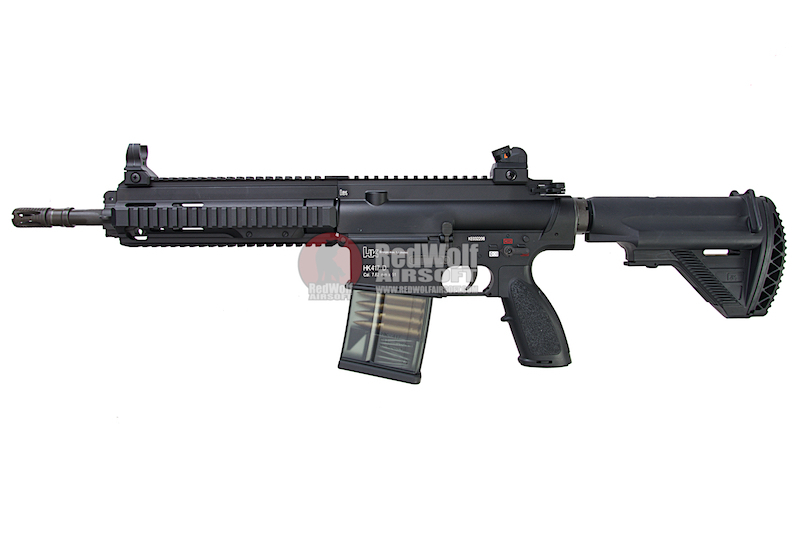 It is the larger caliber version of the HK416 and chambered for the full-power 7.62x51mm NATO rifle cartridge. It is a gas-operated, selective fire rifle with a rotating bolt. 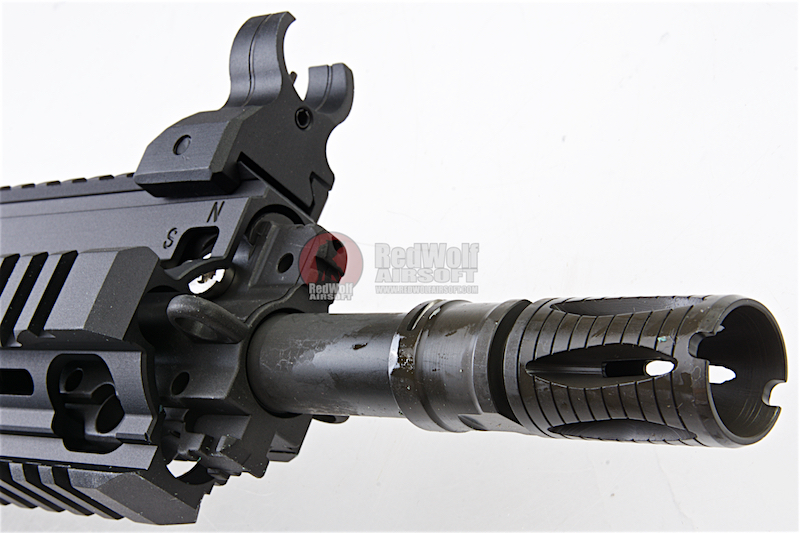 The HK417 is intended for use in roles where the greater penetrative power, stopping power, and range of the 7.62x51mm cartridge are required. It has been adopted for service by a number of armed forces, special forces, and police organizations. 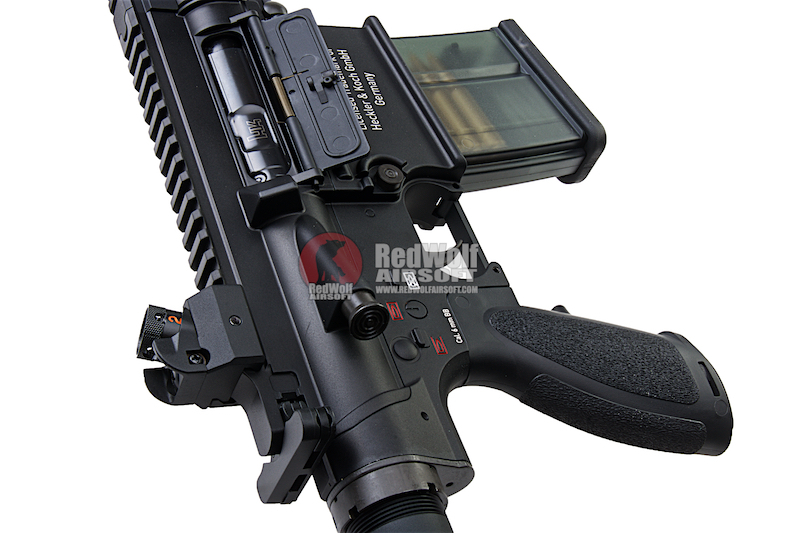 The Umarex H&K417D V2 here is an outstanding AEG. 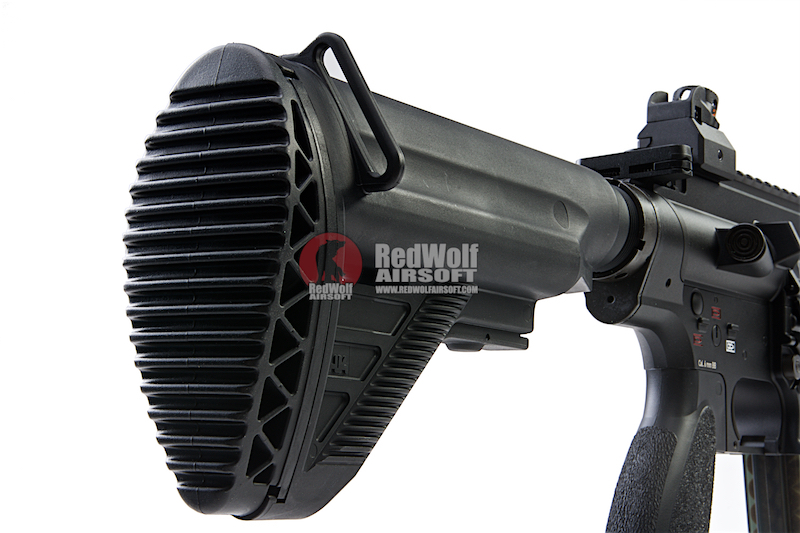 The internals are from VFC and their line of AEGs are second to none out of the box. The Gun itself packs a fair amount of weight but yet its very well balanced. The trigger feeling is crisp and has a felt amount of weight to the pull as well, unlike many other AEGs with soft triggers. Finally, the gears and other internals are compatible with most/all version 2 parts. 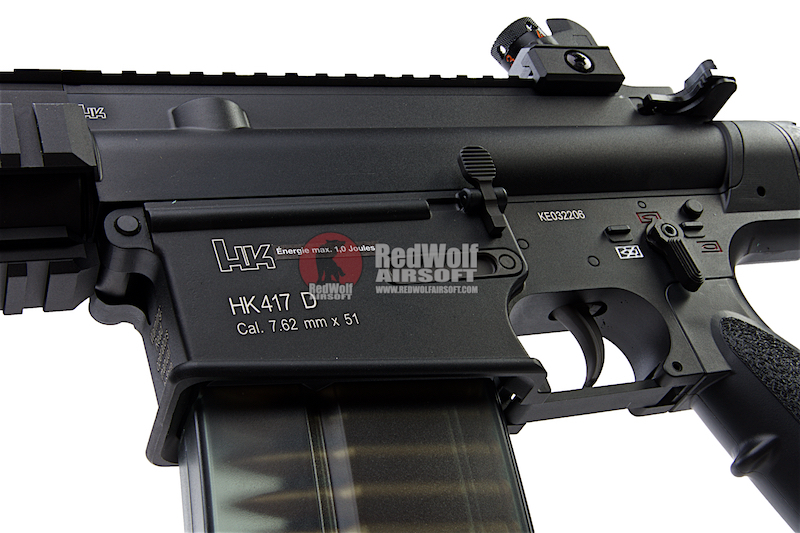 x1 Umarex H&K HK417D V2 AEG - Black (by VFC).